This is the scene of the abduction of the goddess of the underworld of Proserpine by the god of the underworld of Pluto. The sculptor pictured the exploding figure of Proserpine, her frightened face, swept into desperate hands. It is amazing how convincingly the sculptor managed to convey the softness of the woman’s body, as if it were alive, not carved from marble. 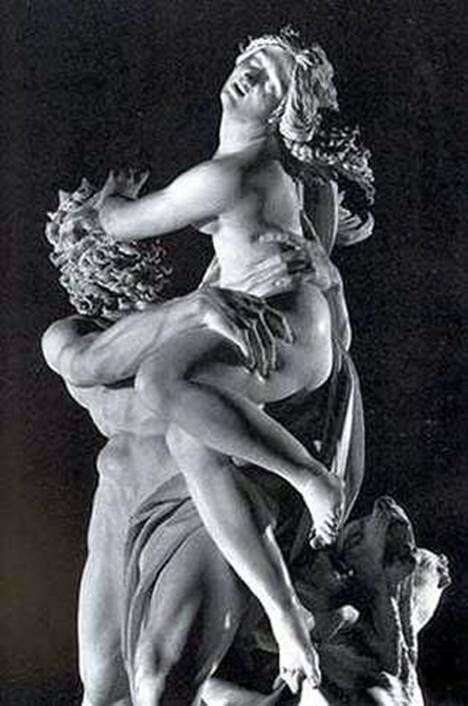 Description and meaning of the painting Abduction of Proserpine (fragment) by Lorenzo Bernini.